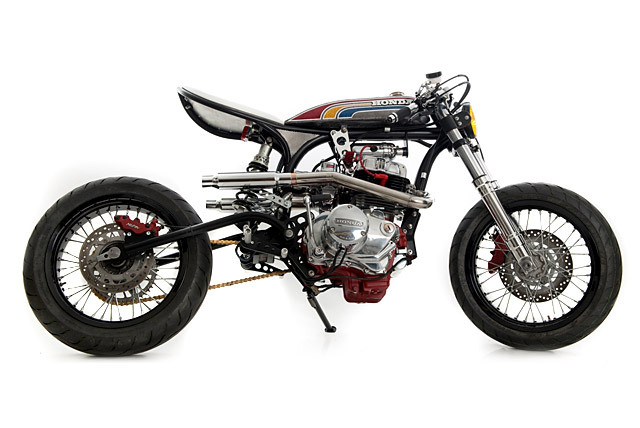 As guys who see a lot of bikes, there’s nothing more intriguing than a build that seems to be hard to pigeonhole. 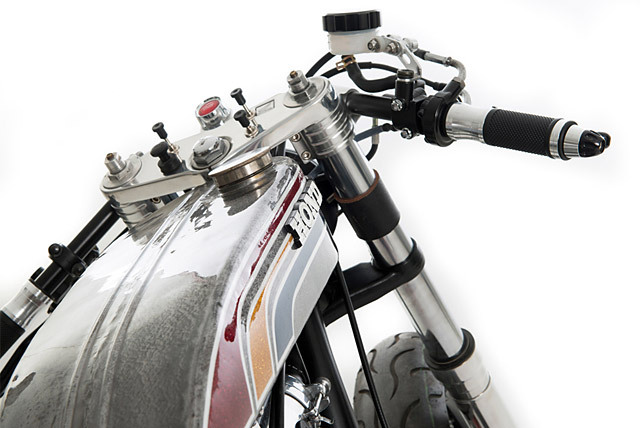 Now that’s not to say that a classic café racer doesn’t whet our whistles, but there’s something about a mix of styles or fresh ideas that make you look twice. Needless to say, the bike you see here a.k.a. 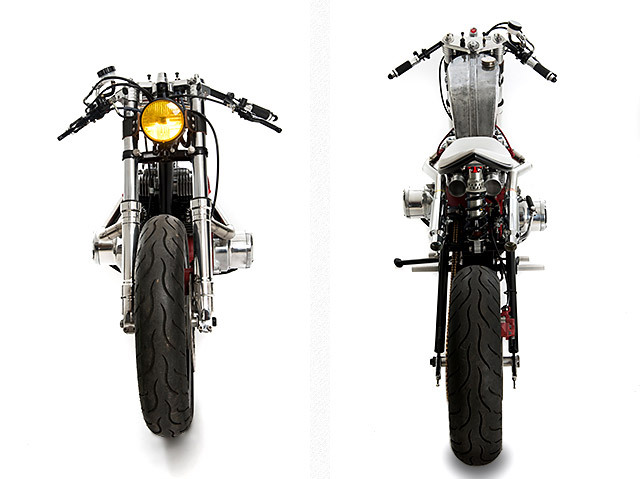 the latest build from France’s amusingly named Ed Turner Motorcycles just so happens to be one of them. 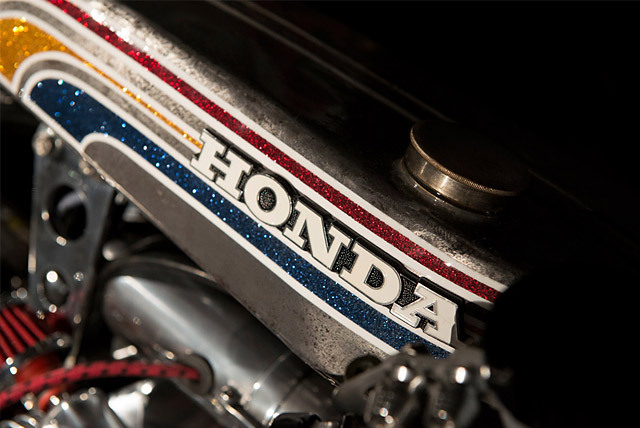 Built by and for ‘Head Ed’ Karl Renoult, it’s a Honda that looks like the result of a one night stand between a café racer and a supermoto in a 1970s amusement park. And in our books, that can only be a good thing. 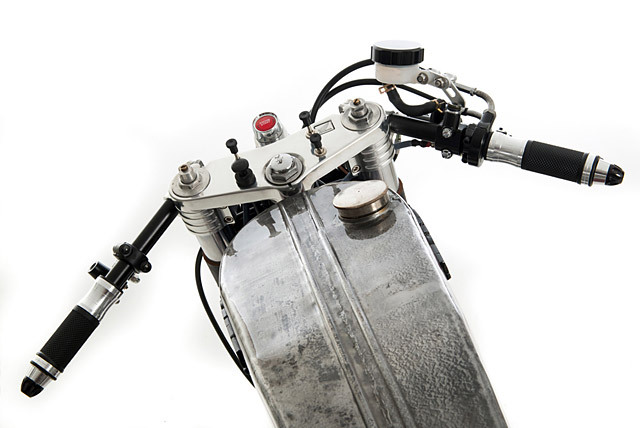 Alignment turned out to be the hardest part of the build, as this was Karl’s first bespoke frame and swing arm build. But he got there in the end and once everything was pointing in the same direction, he equipped the bike with a polished CBR fork and 17” supermoto wheels. Then the engine was mounted and the whole thing was crowned by part of an old floor polisher as a means of covering the coil. Wiring was then redone to ensure it was hidden from sight. Karl also took on the task of painting the bike. Not one to hand over the reigns when the going gets tough, he managed to apply all the paint including the metallic sparkles with his own hand, only stopping when he realised that the powder coated frame would need the help of an electrostatic discharge gun or two and some damn big ovens. 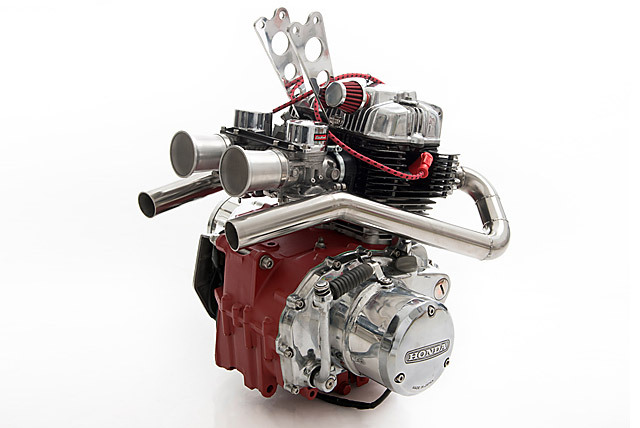 How often do you see a motor that deserves its own photo? 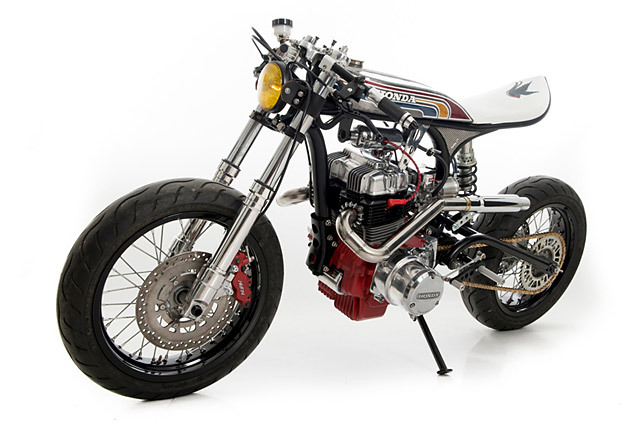 If you like what you see, be sure and check out Karl’s two other genre-defying builds at the Ed Turner Motorcycles website here. 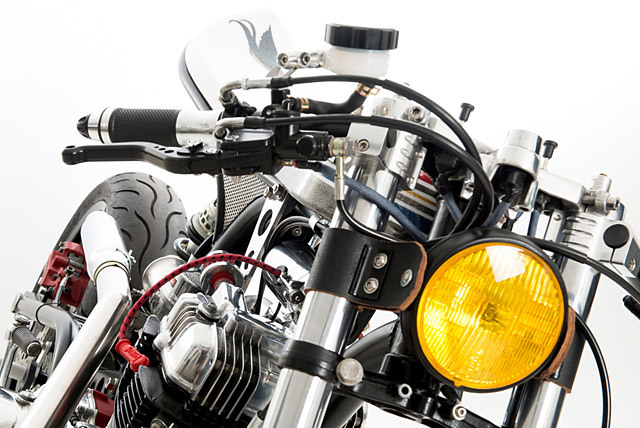 Custom Panhead by Prism Motorcycle Co.